Wonderful to have these little friends to take care of! 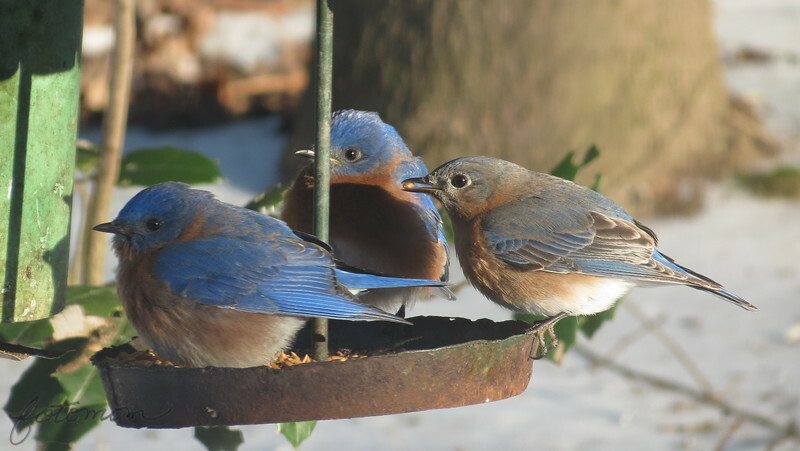 I so envy you having so many bluebirds...I've never seen one. Lots of nest boxes but never a bird. Terrific shot and beautiful bluebirds! Could they be any fatter or cuter? I don't think so. Nice. I've been hearing from a lot of people that their feeders are being well used this year. Good to know that people are watching out for and caring for the birds. Nicely captured. They do look well fed. Outstanding capture of so many together!